Great utility for splitting file into multiple smaller piece. This feature is very useful to overcome limits on the size of e-mail attachments and as an alternative to disk spanning. 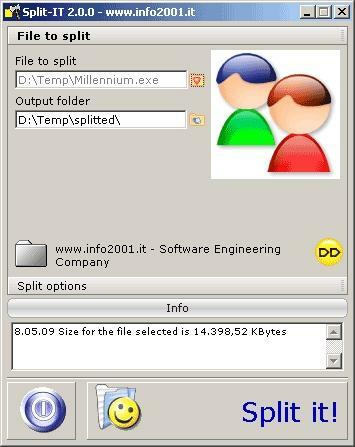 You may use Split-IT with any file type (.exe .zip .jpg .gif etc) of any dimension and you get it from every support (floppy disk cd rom dvd hard disk etc).  You may define the number and the size to split the file (360 Kb - 720 Kb - 1.4 Mb etc). The originary file will be recomposed by a batch file automatically created. You may also find into the installation folder a special version able to work with no installation! For instance you may copy that version on a USB key taking away with yourself and get it ready wherever you are: it doesnt matter what computer you are working!